I haven’t read any of the Undead novels published by Black Library (yet), and I’m not sure how this will connect with Mike Lee’s and Josh Reynold’s other undead/vampire novels. This one, though, I am most interested in. Partly because I do like good vampire/undead fiction. But also, and perhaps more keenly, because the cover story for the first issue of White Dwarf magazine I ever bought was all about the first version of the Nagash model. The magazine included a background section for the character, a short piece of fiction, as well as rules, etc. The background was, I thought at the time, very well-written and gripping – I became hooked on reading the background sections of the Warhammer Armies and Codex books. 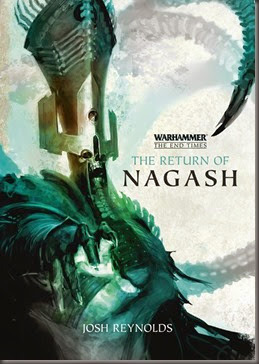 However, Nagash’s story stuck in my mind. And so, I am very interested in reading this novel. I’ll see what I can do about getting it read and reviewed A.S.A.P. 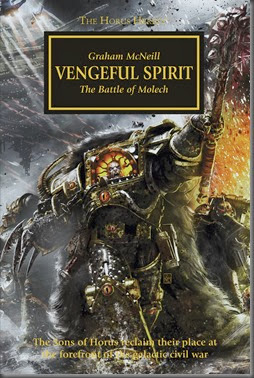 I’m still not 100% sure when this is going to be released – Amazon UK has September 2014 listed as publication, but Black Library often releases things a little earlier through their own store/website. So maybe a couple months earlier? Needless to say, whenever it’s available, I can’t wait to read it. I had no idea this cover had been released, yet, but while on Goodreads adding my latest read to my Currently Reading shelf (Aaron Dembski-Bowden’s Helsreach), I saw this listed among his novels. Complete with a cover. So I did some more digging/Googling, and this post is the result. 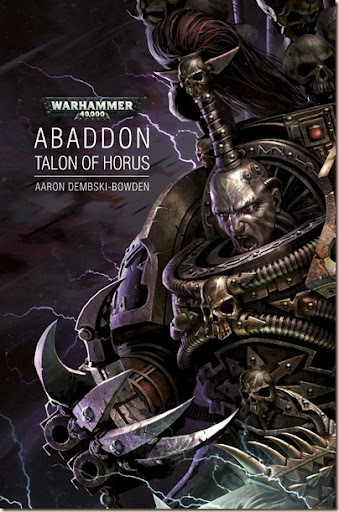 Abaddon: Talon of Horus is the first in a new series of novels focussing on the Black Legion and their leader – former first captain of the Luna Wolves/Sons of Horus (who will be familiar to readers of the Horus Heresy series). Naturally, I’m extremely excited about reading this. The author is one of my favourites, period. (Although, that being said, I’m struggling a bit with Helsreach…) Also, as a more personal aside, Abaddon was my favourite model from the Warhammer 40,000 range, when I was younger and paid more attention. Can’t wait for this. I’m ready for it to be April 2014, now! The rise of Abaddon, successor to Horus and Warmaster of the Black Legion. Aaron is also the author of brilliant The First Heretic (Horus Heresy), and the superb Night Lords trilogy (Soul Hunter, Blood Reaver, and Void Stalker), among others.